California Bureau of Investigation consultant Patrick Jane has a blatant lack of protocol but is self-assured and driven. The former “psychic” uses his talent for seeing the clues everyone else misses to solve the most baffling crimes. 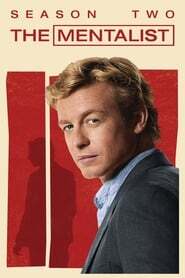 But there’s more than crime: Lisbon and Cho reveal hints about their troubled pasts. Violence fells one CBI boss, and the new boss seems more interested in authority than teamwork. And as the Van Pelt-Rigsby relationship heats up, it threatens to cool down their careers.